Enrico Marini, an Italian comics creator most notable for his works Gipsy and Le Scorpion, makes his American début with Batman: The Dark Prince Charming. 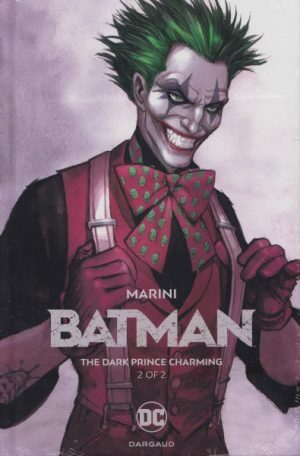 It features many famous faces in Gotham, however given that the narrative is set outwith the canon of the DC Universe Marini has more freedom to explore his own ideas. 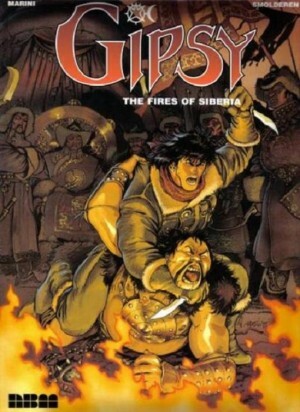 The plot itself is relatively traditional, primarily focused on Batman and his arch nemesis the Joker, but what makes it particularly interesting is the victim caught in the middle of their warring relationship. 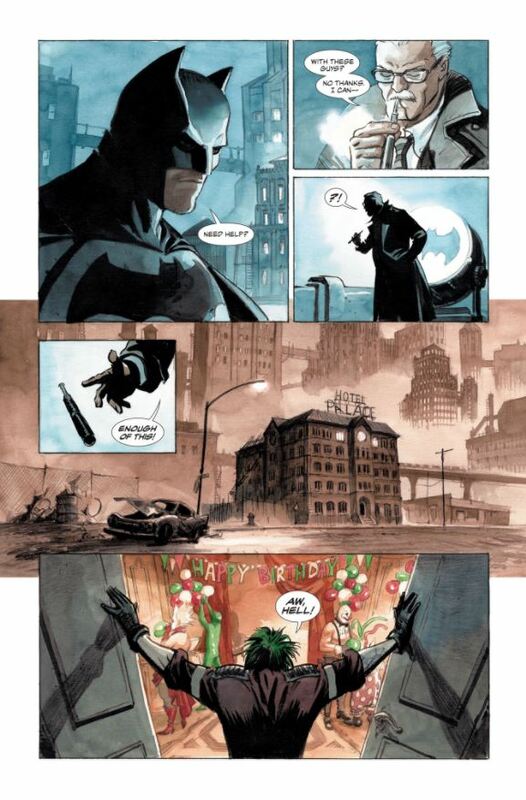 Marini takes key elements of Batman and the Joker, both keeping their familiarities and adding a fresh and modern perspective, which applies equally to his overall story. It offers a beautiful and unique insight into the world of the Dark Knight showing Gotham as we have never seen before. The art is both bold and subtle, with a blend of sweeping splash page skylines, and layered panels all washed in a gorgeous watercolour effect. 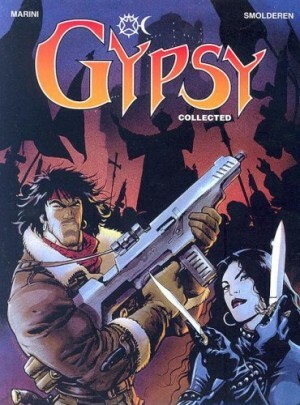 It is a wonderful amalgamation of the European style depicted in the gritty American streets of Gotham. Many supporting characters have also been re-invented, Harley Quinn for example dons a carnivalesque, pin-up style costume and although still clearly devoted to her ‘puddin’ as she was originally in the 1990s, this interpretation is more demanding and empowered. The Joker in contrast seems to have a softer spot for his Clown Princess of Crime. That isn’t too say he shares that affection for everyone though, and there are some great Joker style random murders scattered throughout. 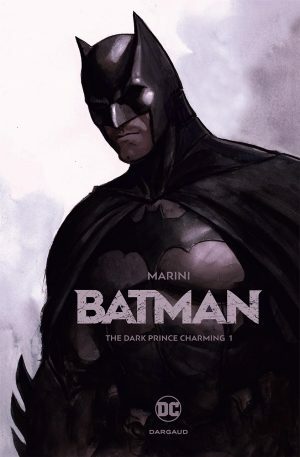 The Dark Prince Charming is a beautiful and exciting take on the world of the Dark Knight, its style is a perfect blend of the European alternative and American superhero. Marini takes these larger than life characters and throws in a very real, gripping plot which surprisingly has not been touched on before. giving equal weight to both Batman and Bruce Wayne. 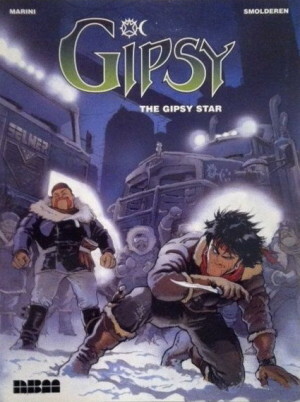 The only criticism perhaps is that this is a relatively slim read for a graphic novel as Marini’s story has been spilt in two, with the single volume version to be issued for Christmas. 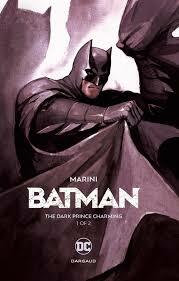 The ending of Part One is moreish and it seems definitely worthwhile seeing Marini’s Gotham adventure through to the end in Part Two.